You guessed it:) I may not be in class anymore, but I’m still studying. More than likely I will be back in school in the fall when the craziness of summer has passed (I’m thinking of taking some classes on criminal investigation! How fun would that be? ), but that doesn’t mean I’m taking a hiatus from learning. 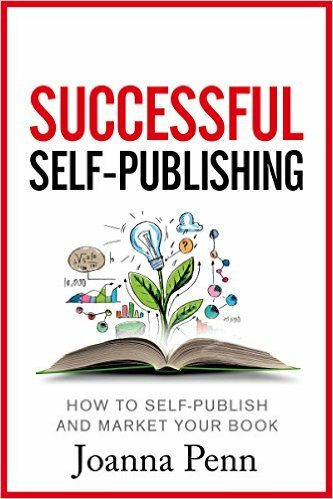 I just finished reading Successful Self Publishing- How to Self-Publish and Market Your Book By Joanna Penn. It is free on Amazon and it’s an informative book for new to the game authors. It took me longer to read than necessary because I downloaded it from her site The Creative Penn in PDF format, uploaded it to my cloud and then had to remember what page I was on every time I wanted to continue reading. I read it on my downtime at my day job, and, bad author, every once in a while I get sucked into Bubble Witch 2 Saga. The game helps clear out my mind, but at the same time, some of those levels are very challenging and I want to play them until I beat them. Some days I feel guilty about playing the silly game, other days, not so much. I have to remind myself that I get up every morning-7 days a week- between 5:00 and 5:30 so I can work on my writing, marketing, house stuff, and now yard stuff before I head out to my day job. I deserve the break:) And I know where my burn out level is so I do my best not to get to that point. Once I get burnt out I have a very difficult time getting motivated again. Back to Successful Self-Publishing. This book pretty much covers everything I already knew. But I really wish I had it back in the day when I was just starting out. Reading it would have helped my time management. I wouldn’t have spent so many hours on the internet doing all the research I did. So if you are a new author, just getting started, or stuck in what decision your next move should be, you may want to pick up this book. – How much does it cost to self-publish? – How do you get paid when you self-publish? Joanna Penn includes great links and I also found Reader Magnets: Build Your Author Platform and Sell more Books on Kindle (Book Marketing for Authors 1) by Nick Stephenson link in Joanna’s book. I posted a review on this book back in April:) This is a free book on Amazon too. I was very happy to find Nick Stephenson’s link in her book. I have bought and read marketing books that only give you tidbits on marketing but not a game plan, so I am careful about what I buy nowadays. I understand that there are things that may work for other authors that won’t necessarily work for me. But it’s nice to read exactly what other authors have done to be successful. And I mean authors, not teachers. At this point, I only write fiction and would like advice on how to market my fiction! I’m going to buy Joanna’s next book How To Market A Book (Books for Writers 1) because she, so far, has done a great job on the “how to” for authors and that’s what I need right now.